Compelling Communications that Deliver Customers to your Store! Deploy effective, efficient and compliant communications to secure service appointments and promote future transactions. Consumers facing a recall can range from those who are disinterested to those who are leery of your brand. With a dedicated team to field these inbound calls, we’ll not only provide a customized call center to relieve call volume, but we’ll also carry consumers through to appointment scheduling. 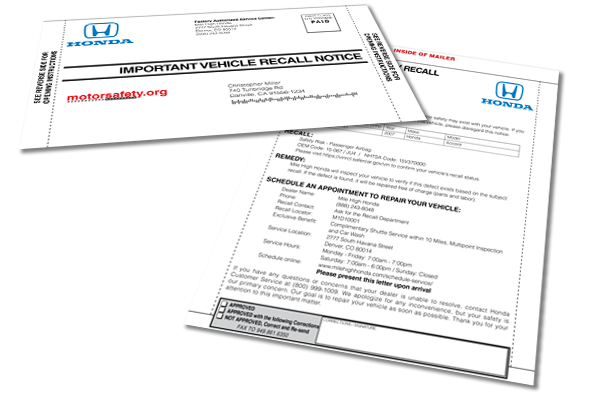 We’ll deliver a first-class direct mail piece informing the vehicle owner of the recall and what they can do to remedy the situation. Recall Masters uses only federally-compliant language required for postal delivery of recall notices. Some dealers have fallen victim to marketing companies who do not meet federal guidelines, which could lead to substantial fines. We simplify the recall notice for the consumer, encouraging them to connect with the dedicated Call Center services agent. The objective is to secure a recall repair service appointment by providing a thorough description of the recall and how your dealership is available to assist in their moment of need. 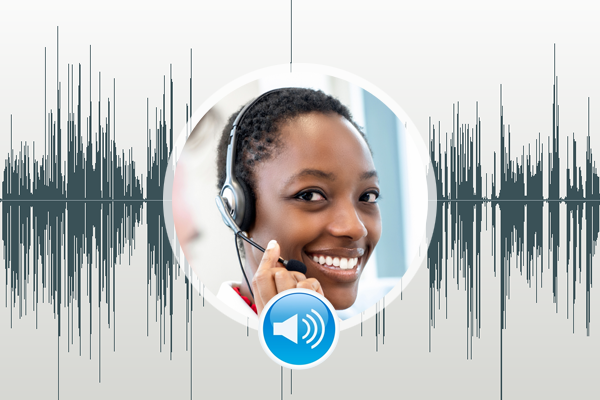 Funneling back into the Call Center, this series of eMails first informs consumers about the recall, then escalates in urgency with carefully crafted language that let’s them know that action is required. We encourage their participation by touching on key areas of interest that strengthens response rates. In some cases, it’s the knowledge that the vehicle owner can connect to a single point of contact (your dedicated Call Center services team of agents). In other cases, it’s knowing that recall repairs are provided at no cost to them. All eMails are federally-compliant to SPAM laws. We’ll target vehicle owners in your DMS/CRM as well as architect a campaign that reaches out into the zip codes you specify. It’s not just younger consumers who prefer texting over voice. Texting is the most widely-used and frequently used app on a smartphone, with 97% of Americans using it at least once a day. Businesses are now turning to text messaging to deliver their most important messages, as text messages have a 98% open rate, while email has only a 20% open rate. But, be careful – texting must meet Telephone Consumer Protection Act (“TCPA”) guidelines or your organization could face stiff penalties. Recall Masters has undergone extensive preventative compliance audits in order to be in compliance with all state and federal laws. TCPA’s exemption for calls/texts related to the health and safety of consumers also applies to recall notifications. Furthermore, rather than a “robotext” platform, Recall Masters delivers its text messages using live agents who personally interact with every consumer. 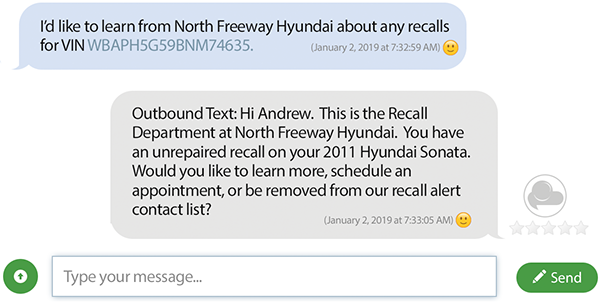 The hub of success is our Recall Department Call Center services, which delivers targeted outbound messaging and fields all inbound inquiries from consumers facing a recall on their vehicle. Our skilled and knowledgeable agents not only serve as your “virtual recall department” call center with dealer-branded greetings, they’ll patiently work through all consumer concerns, review details of the recall, share dealer amenities that persuade owners to bring in their recalled vehicles and even schedule the service appointment (where applicable). With a single interaction, our team carries these consumers from being leery and uninformed to being secure in the knowledge that your organization is here to help. Liberate your BDC from these lengthy calls by letting Recall Masters build and staff your Recall Department. Click on the graphic above to listen to a sample call (identities have been edited in order to preserve anonymity. Stay “top of mind” with your audience by capturing their email address on your Recall Department webpage. 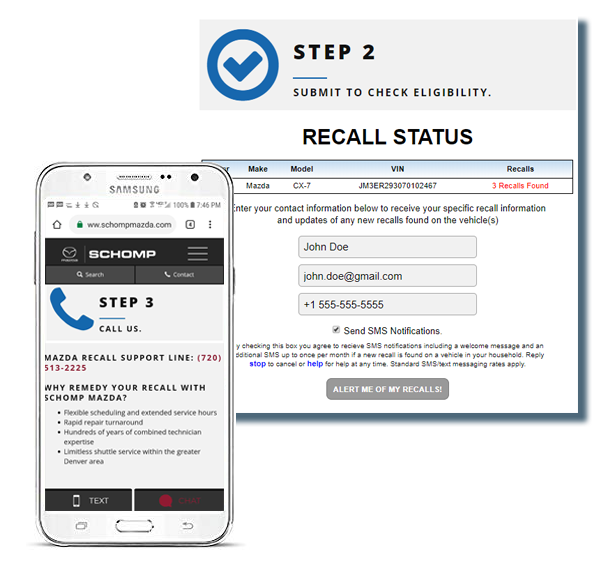 Consumers enter their 17-digit VIN and receive recall status results almost immediately, with the option to receive regular updates. This gives your dealership the opportunity to stay in front of the consumer, delivering important information they’ve opted in to receive. All recall department webpage leads are yours. VIN check services are not limited to vehicles of your brand, but, rather, allows site visitors to run all the vehicles in their household. 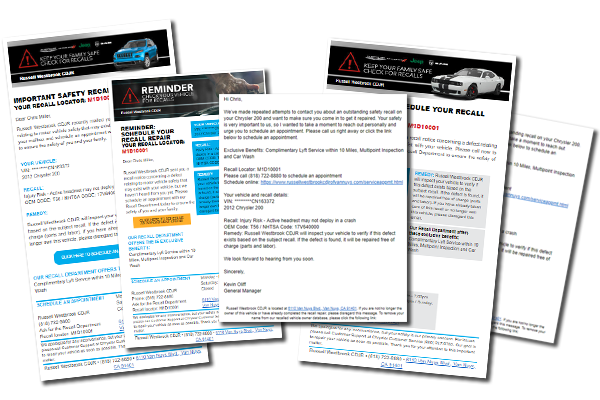 Assisting consumers with recalls opens the door to seek your dealership out as a responsible member of the community and trusted partner in the automotive industry. Celebrate old friendships and create new ones with Seasonal Gift Cards! Give your customers and new prospects a reason to visit your dealership with our Gift Card campaigns, completely customized to drive traffic to your service and sales departments. Let your customers and shoppers know that your dealership appreciates their business by sending them a personalized gift card in the amount that you specify. Recall Masters architects a unique campaign based on your dealership needs and budget. We’ll also give you a supply for your dealership staff to distribute. Empower your staff to reward customers for their loyalty, apologize for an inconvenience, bring consumers back for additional service, incentivize shoppers to take a test drive and so much more!